I really ask those who care about animals but who remain silent against white violence in this country; the terrorism falling upon people of color in this country, to please reflect on the compassion and empathy that brought them to veganism in the first place. In the wake of the white supremacist violence at Charlottesville and across the country, NARN stands by its mission statement, which calls for for an end to the suffering of all sentient beings–both non-human and human. Because we believe the liberation of all creatures is interconnected, we also call on the animal rights community as a whole to find the empathy and compassion in our hearts and use it to show up, speak out, and get active in opposition to oppression. We stand in solidarity with folks like Dr. Breeze Harper [The Sistah Vegan Project] and Food Empowerment Project in committing to “fight against white supremacy and in a way that is more than cosmetic and “integrates [that commitment] into [our] organizational goals and values.” We urge folks to think about the US-based animal rights organizations they know of and work with and hold them accountable. Let them know that they cannot be neutral about the white [supremacist] elephant in the room (and that ‘room’ is a white settler nation called the USA in which the logics of white supremacy were its foundational CORE values and still operate today– from the logic of neo nazis to the logic of white savior complex to the logic of racial profiling to the logic of gentrification to the logic of tracking in K-12 education to the logic of engaging in missionary language when campaigning about animal rights and veganism). In that spirit, we offer the following personal reaction to what happened in Charlottesville from one of our long-time volunteers (see below). We hope you will not only take it to heart but take action (see this link for suggestions on how to do that in an animal rights context and beyond). Like we say at NARN, show up, speak out, and get involved. It cannot wait another moment. I had this idea in my head when I became veg as a kid–that people became vegetarian or vegan because they widened their circle of compassion and empathy beyond people that were like them to include people that were less like them and then to include individuals that were non-human. 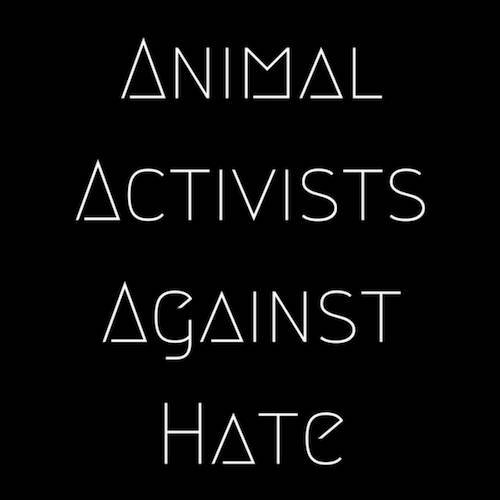 Once I found an activist community, it didn’t take me very long to realize that racism, sexism, and other “-isms” exist in the animal rights movement as well. In fact, it can be quite rampant. Even knowing this, it somehow still hurts worse when people in the animal rights community perpetuate hate speech, violence, or are silent about others who do. There’s still a part of me that expects that vegans and animal rights activists will understand that those of us who are different than they are still have a right to live as freely as they do. That same part of me still expect vegans to be people who, when they see injustice, they do something about it instead of turning the other cheek. They speak up–not just for non-human animals, but for the human animals, too. To give a more specific example: Part of me expects them to speak up when family or friends say things that perpetuate violence against people of color. Yes, I am frustrated by people who would stand next to me while I fight for animals, yet disappear when attacks are directed at me or other people of color. It was incredibly frustrating to have another animal rights activist tell me that if I want to feel “safe,” I should leave animal activism and do human rights activism instead. I am able to continue to do this work, because I know people like this are not the whole of our movement. There are two vegan animal rights activists in the hospital right now who stood up against hate and were struck by that vehicle in Charlottesville. There are many of us, like them, that understand that fighting for human justice doesn’t have to take anything away from animals. Those people remind me that I am not alone–that I don’t have to choose. They remind me that it’s not some awful multiple-choice test of “who deserves the right to live?” a) myself & other people of color, or b) non-human animals. I really ask those who care about animals but who remain silent against white violence in this country; the terrorism falling upon people of color in this country, to please reflect on the compassion and empathy that brought them to veganism in the first place. Then when you find that compassion and empathy, be willing to actually DO something with it. Use your voice, your vote, your privilege wherever you can to fight oppression and support ALL those who are impacted by it.